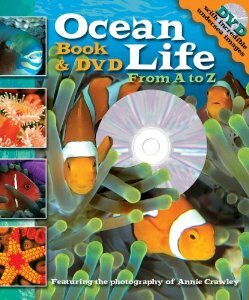 Learning about the Ocean is a great way to add some hands on learning to your classroom! Children love to see all the amazing creatures that God has placed in the sea. Wrap up your learning with a fun trip to a local aquarium and let children really gets their hands wet! 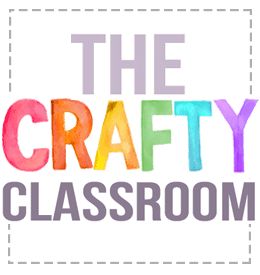 With our craft tutorials children can make a spiky sea urchin, a sandpaper starfish, a sea creature fan book and a sparkly sea anemone. This is a stunning way to make a paper seahorse come to life on your art board. 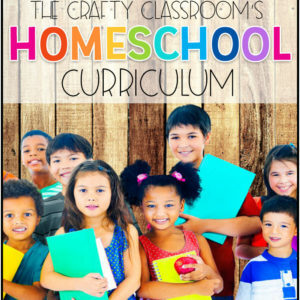 Using a few simple supplies and some creative cutting techniques, this art project is great for children of all ages. Younger children will need adult help with the cutting. 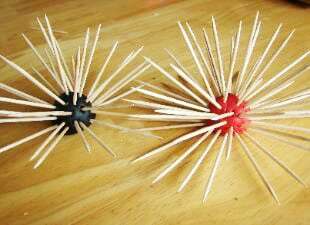 Careful, these little fella's are very spiky! These make your Ocean diorama's really pop! This beautiful oil pastel introduces children to warm and cool color combinations, line, overlaping, depth, highlighting, shadows and more. With a few easy tips and tricks children can make stunning beach art during your Ocean unit study. 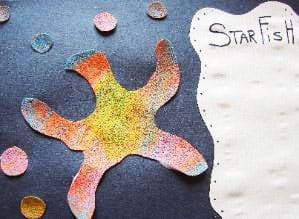 This is a great way for chidlren to learn about starfish, while adding a bit of texture to their creations. 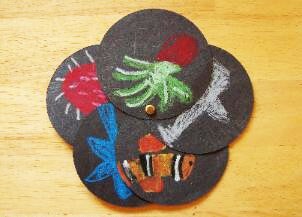 Children draw directly on sandpaper with crayons or oil pastels for a vivid and tactile experience. 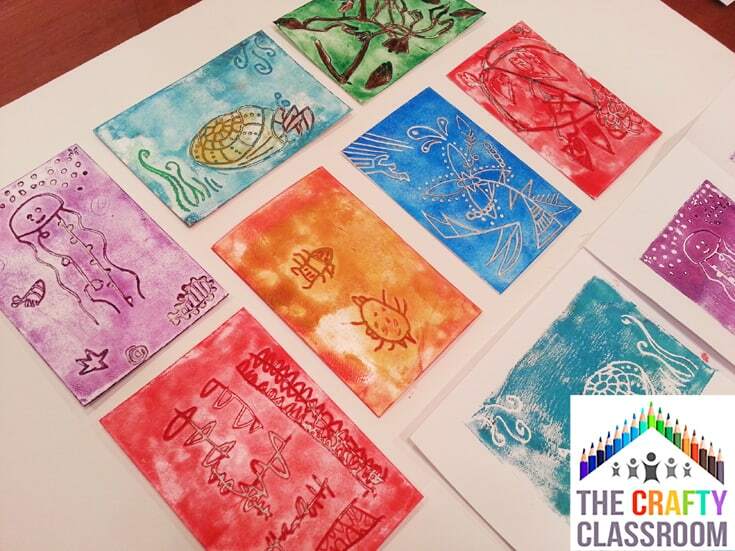 Using this simple printing method you can make an array of amazing sea creature art prints. This project is not only fun to learn but children are left with lasting impressions of their Ocean Animal Unit Study. Not to mention that these prints can be gifted to friends and family members for gifts. Children can identify and sort through their seashells with these full color photo cards. We purchased a bag of shells and used these as sorting mats to keep the little hands busy during lessons. Children can make this interactive sea creature fan book to remember all of their favorite ocean animals! 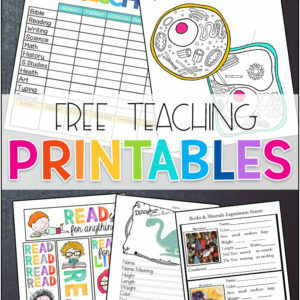 Free 75 page aquarium notebook for The Crafty Classroom Subscribers. 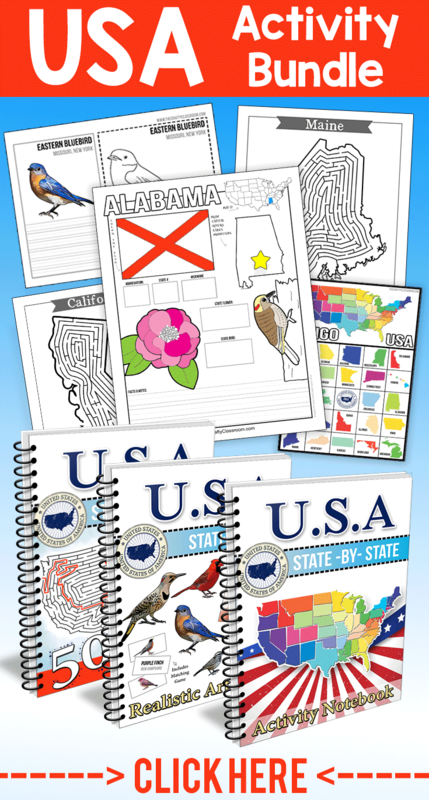 These notebooking pages include a full color photo and basic fact file for different aquatic creatures children can visit at the aquarium. 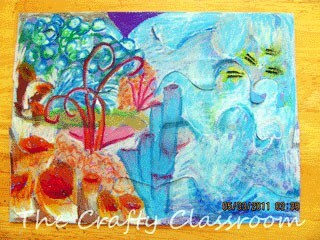 These vibrant coral reef collages are wonderful to make after learning about the different creatures that live there! Use Oil Pastels and a reference photo and encourage children to work slowly blending colors, highlighting with white as they go. 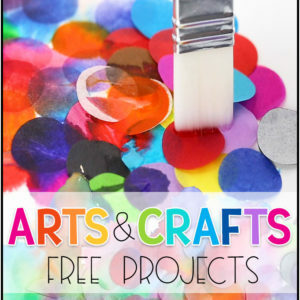 This craft teaches children to make some sparkly sea creatures to add to their ocean dioramas! 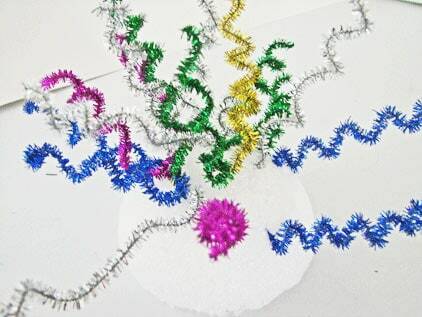 Use a piece of Styrofoam (we cut a Styrofoam ball in half) and some glitter pipe cleaners. Wrap the pipe cleaners around a pencil then remove them for a perfect spiral spring shape. Poke them into the Styrofoam to make your creature. Children can work their way through the alphabet with these aquatic creatures. For each letter there is a corresponding animal. 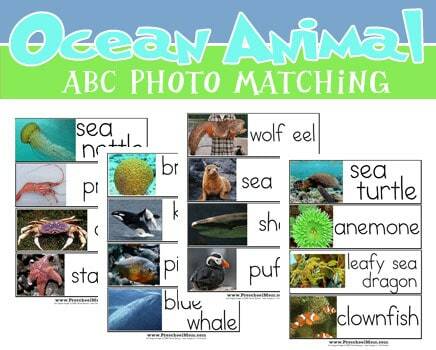 Older children can cut apart the photo from the name and use these cards as a matching game. A set of 26 different ocean animal coloring pages, one for each letter of the alphabet. Children can color and cut out their pictures to form a wall sized quilt. 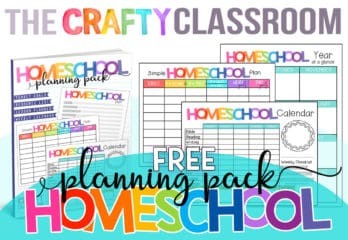 We have some free seashell coloring pages and clipart you can use to make your own homeschool resources. Even if you live miles from the ocean you can provide children the opportunity to find a collect shells using a small sandbox and purchased shells. Children can then color the shells with the markings and patterns of the ones they found. 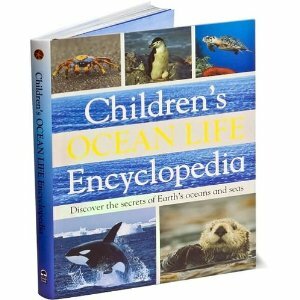 This series of encyclopedias for children are amazing! 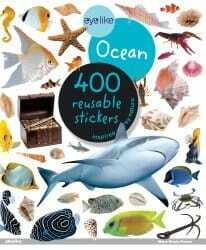 With over 200 pages, this book is filled with full color photos and vivid illustrations of aquatic creatures from the world’s oceans. This is book you can keep on your shelves for years to come, we personally own quite a few of these thematic encyclopedias. I would say they are best used with children 3rd grade and below.